What is a Patent Airway? What Are the Signs and Symptoms of Scar Tissue on Lungs? Respiratory depression is characterized by a slow respiratory rate that does not provide for full expansion of the lung or provide enough oxygen to the tissues. Respiratory depression can be caused from a lung disease, a drug overdose or trauma. If it is not treated, it can be fatal. By listening to a patients breath sounds, the physician can quickly evaluate the quality of air movement in and out of the lungs. Abnormal or decreased breath sounds are a symptom of respiratory depression. Examples of abnormal breath sounds can include a high-pitched whistling sound heard in asthma, crackling sounds heard with pneumonia or decreased breath sounds heard with emphysema. During early phases of respiratory depression the patient's heart rate may speed up as a response to the decreased oxygen being supplied to the vital organs, but will eventually slow down when it can no longer compensate. A very slow heart rate in a patient with respiratory depression is a sign of impending cardiac arrest. As the patient is feeling the need to make an effort to get more oxygen they may become restless and agitated, "Sheehy's Manual of Emergency Care" notes. The patient will not want to lie down and will make every attempt to sit upright trying to make breathing easier. All vital organs of the body need oxygen. As the respiratory depression progresses oxygen delivery to the brain is decreased. When this happens the patient may start to appear confused and irritable which can progress to unconsciousness if it is not treated. As the patient worsens they will often have difficulty speaking. They will speak only one or two words at a time, not being able to complete a full sentence before trying to get more air, according to "Sheehy's Manual of Emergency Care." Laboratory studies will show that the body is holding onto carbon dioxide because of decreased respiratory effort. 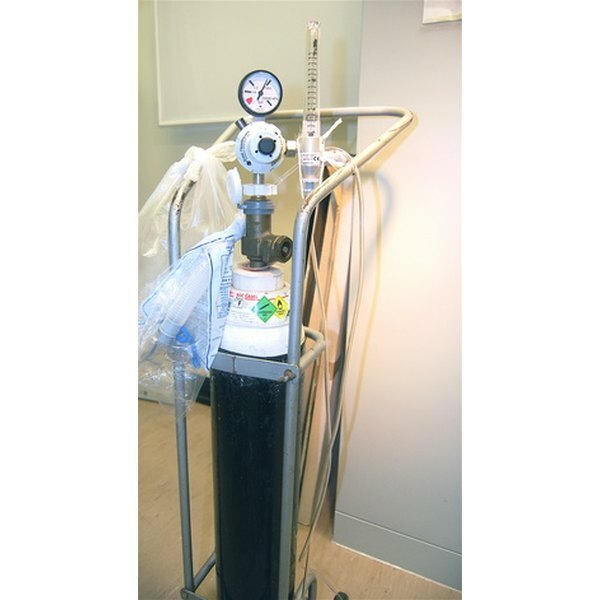 Treatment for respiration depression may require assisting the patient's breathing with a mechanical breathing machine. Robin Gilbert has been writing professionally since 1998 and specializes in health-care topics. Her writing has appeared in the "Emergency Nursing Connection," "Nursing Management Secrets" and "Comprehensive Care of the Pediatric Patients." Gilbert has her Master of Science in nursing from St. Joseph's College in Maine. She has more than 20 years experience in emergency nursing and is a CEN and CPEN. What Is a Non-Rebreather Mask?